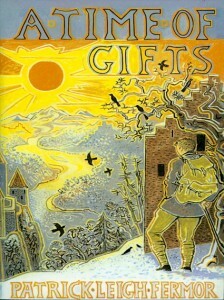 Patrick Leigh Fermor’s evocative account of his walk from Rotterdam to Hungary. *The cause of his downfall was a public demonstration of the device by which Trygaeus, the hero of The Peace of Aristophanes, flew to the crest of Olympus to beg the Gods to end the Peloponnesian War. As this vehicle was a giant dung-beetle from Mount Etna which the protagonist refuelled with his own droppings on the long ascent, the exhibition may well have caused a stir. I would like to have seen it.